Fed up with your fat body? Isn't it time that you changed? 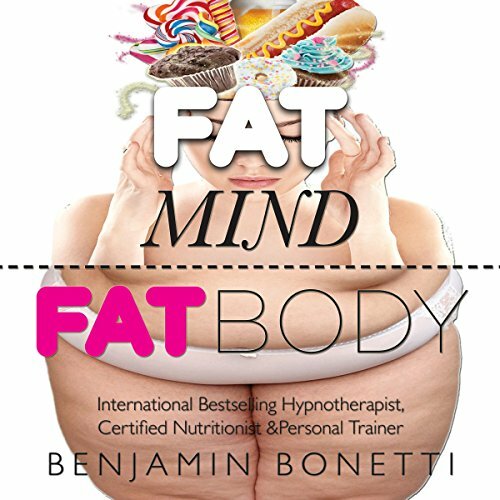 Benjamin Bonetti, international best-selling hypnotherapist, has combined all of his skills to produce this truly fantastic support tool for those struggling to get to grips of their weight-loss journey. Now includes: best-selling weight-loss hypnotic audio and two free chapters of his award-winning books How to Stress Less and How to Change Your Life. Within this exciting, informative and direct publication, Benjamin has included all that you will ever need to know in order to successfully lose weight for good! So, what are you waiting for? Isn't it time you took back control of your life and took the massive action required to live a life that you deserve? Benjamin Bonetti is recognized as one of the world's best-selling hypnotherapists and self-help authors. With over one million self-help products sold internationally, his self-help apps, audiobooks and CDs are regularly in the top ten audio charts on Amazon, iTunes, Audible, and the App Store. This book is very informative. it's also a great exercise in relaxation and techniques to last a lifetime. loved it! it was exactly what I needed! His voice is perfect and soothing! I think it actually works! This is amazing! The information provided was very good but some interest was lost with the super monotone voiced narrator. A very strange and stilted reading and very obvious advice. Nothing new. Wow had to turn off the hypnosis as I was driving! Excellent advise all sensible methods to achieve weight loss. I will need to listen to hypnosis again as on first attempt I was driving and second I was on a busy train.